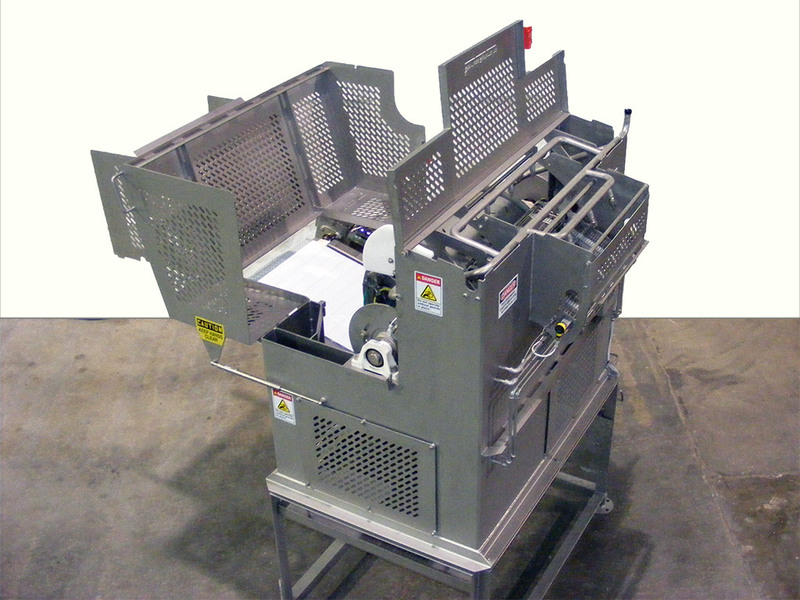 This machine was a specific purpose machine design for the pork industry. 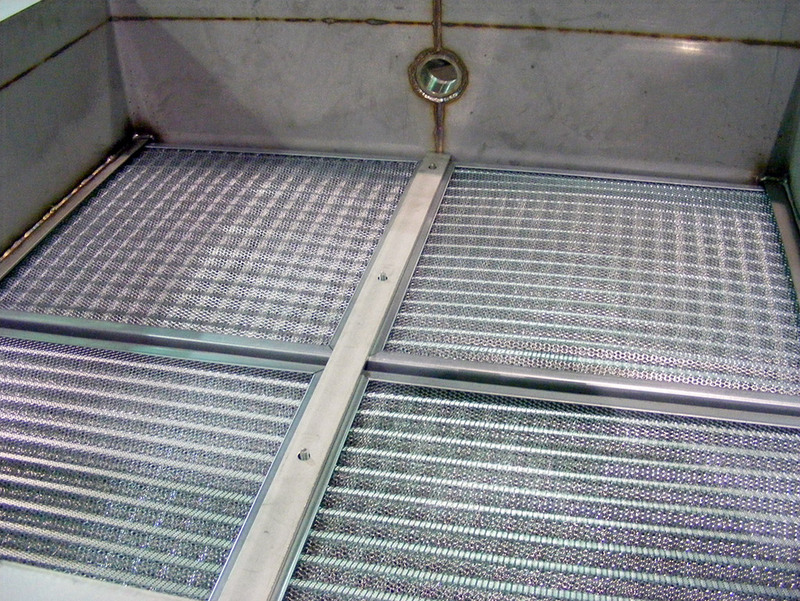 During the processing of pork bellies there is a critical need to be able to manipulate the bellies 180 degrees so that the underside can be inspected and final trimming performed after the outer membrane is removed in the skinner. 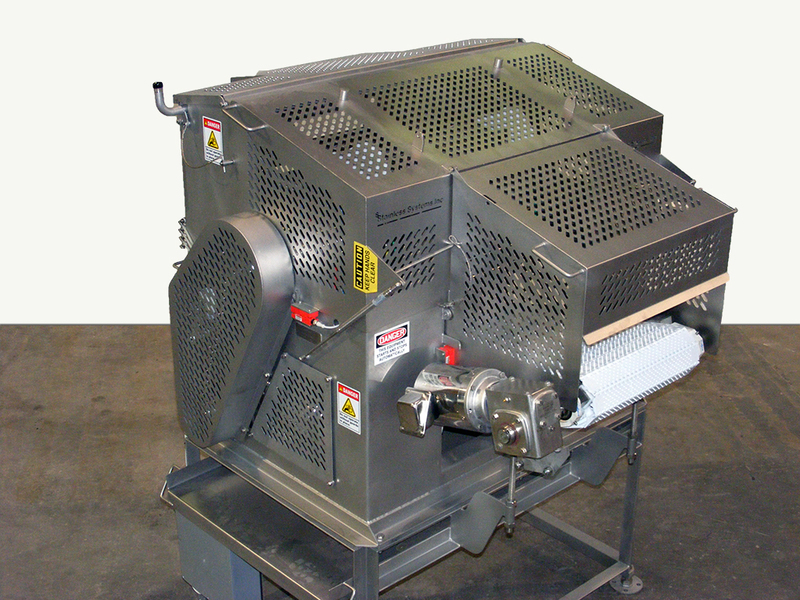 This machine rotates the belly for this further processing work. 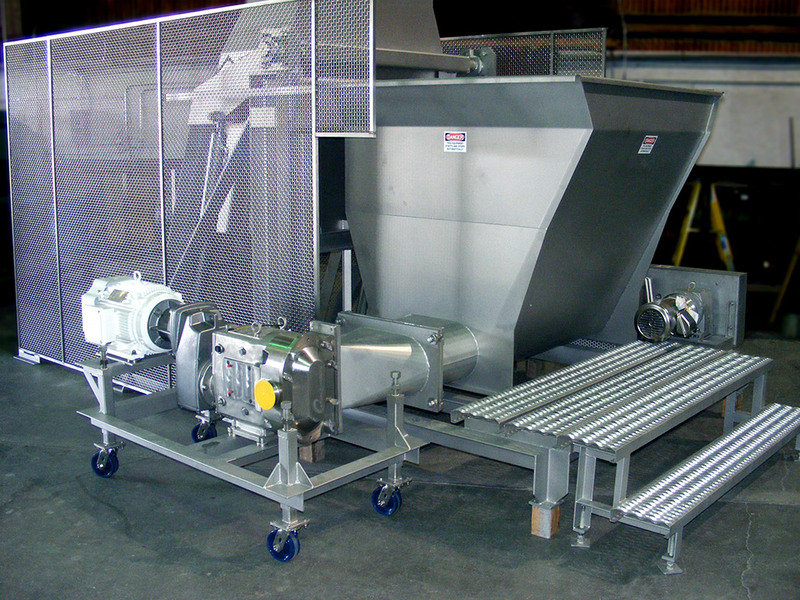 Designed for cattle feeding operations and for steam cooking grains prior to roller milling or flaking, this machine will process up to 25 tons per hour of corn or other feed grains. 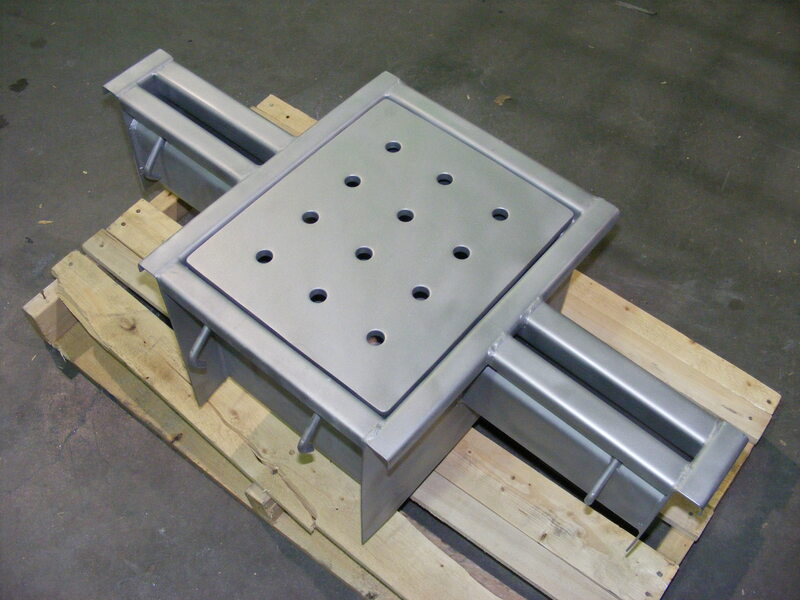 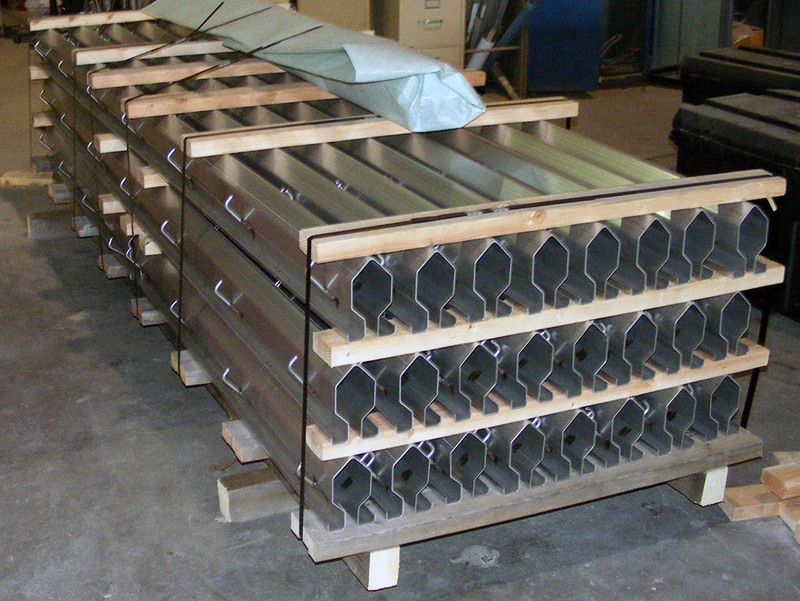 SSI has been building floor drains per the customer’s specification on a contract basis since 1998. 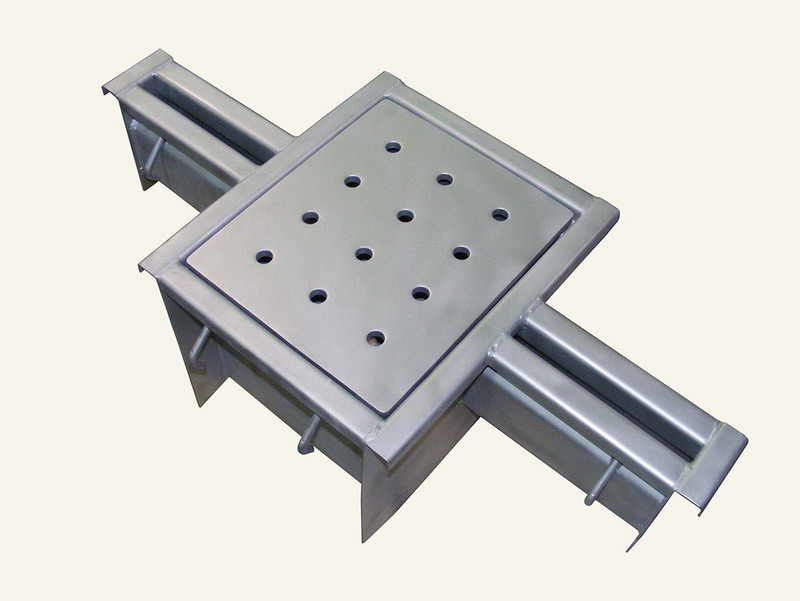 We also have a wide variety of in house designs if you are looking for an easy solution to a floor drain issue. 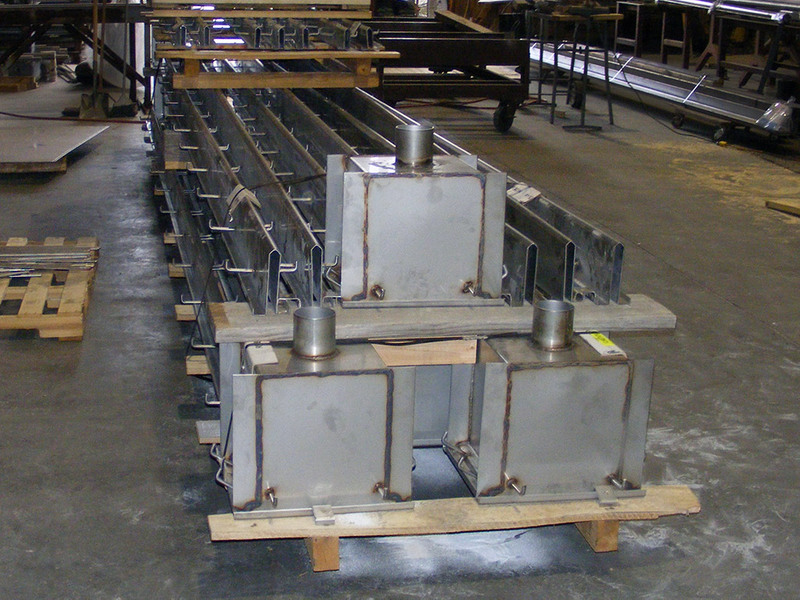 A wide variety of other non-ASME coded vessels. 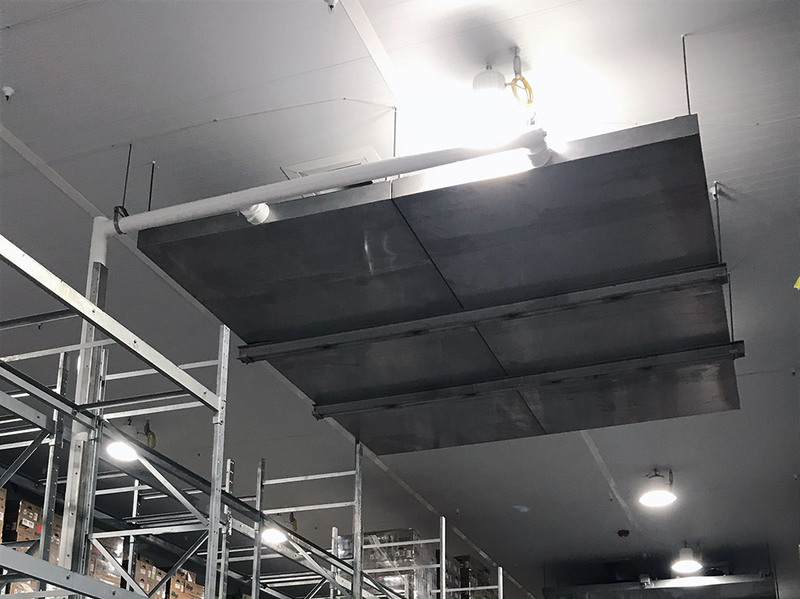 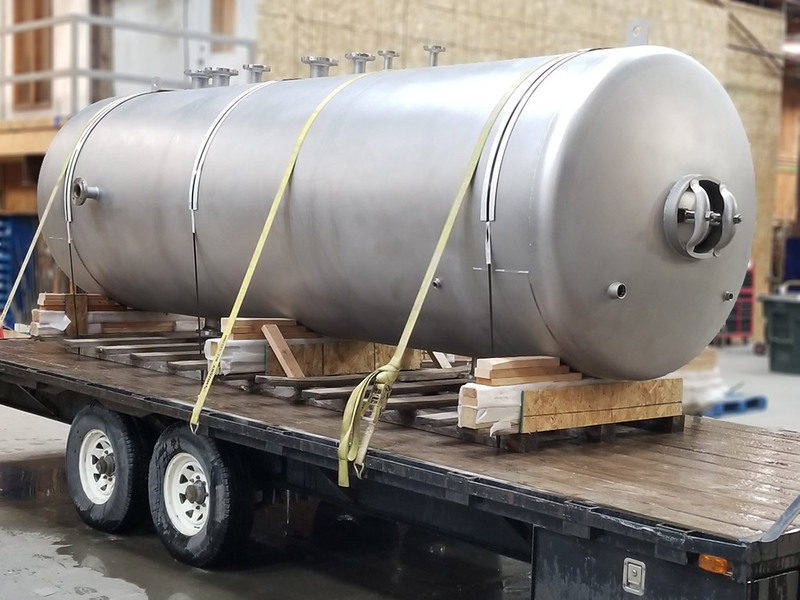 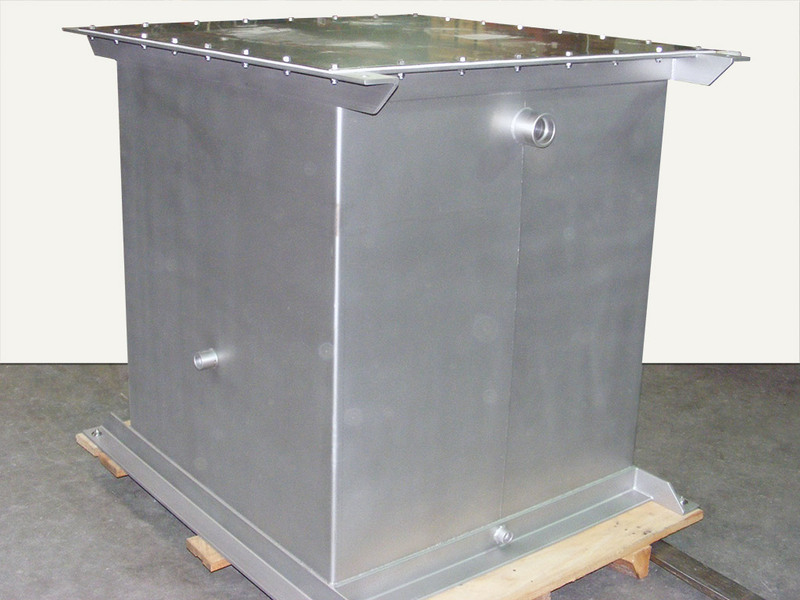 The tank pictured was designed for de-misting/separation of oil from ammonia vapor to prevent carry over in an ammonia refrigeration system. 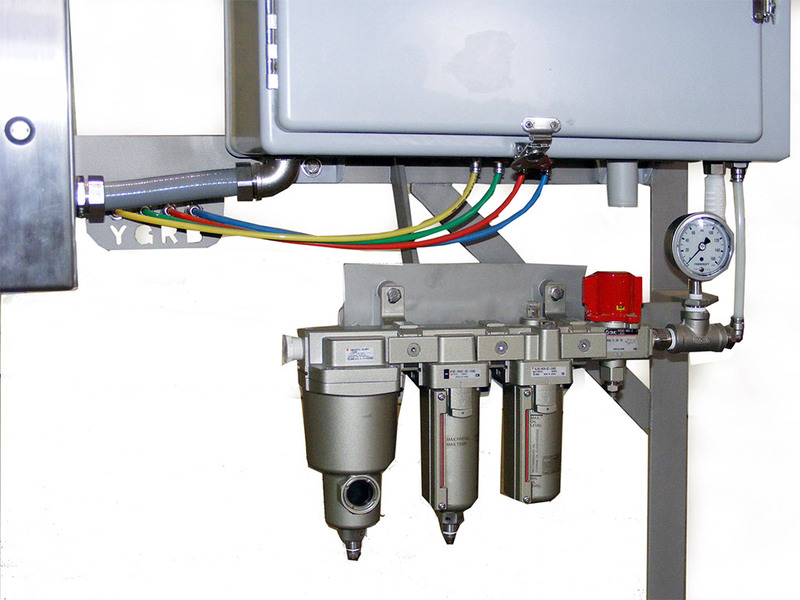 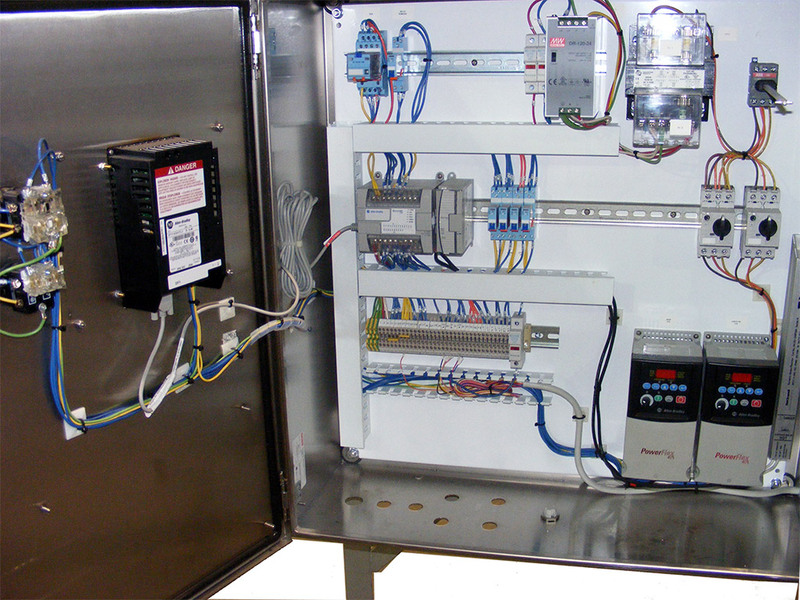 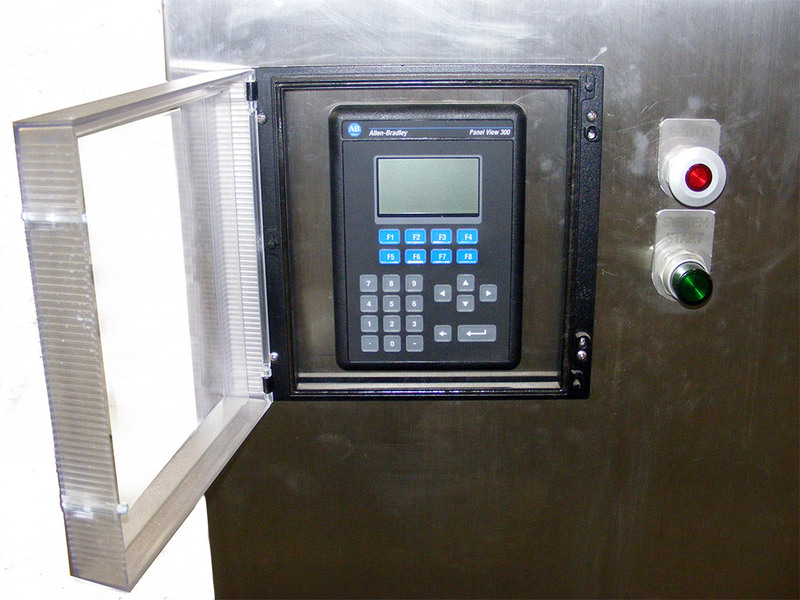 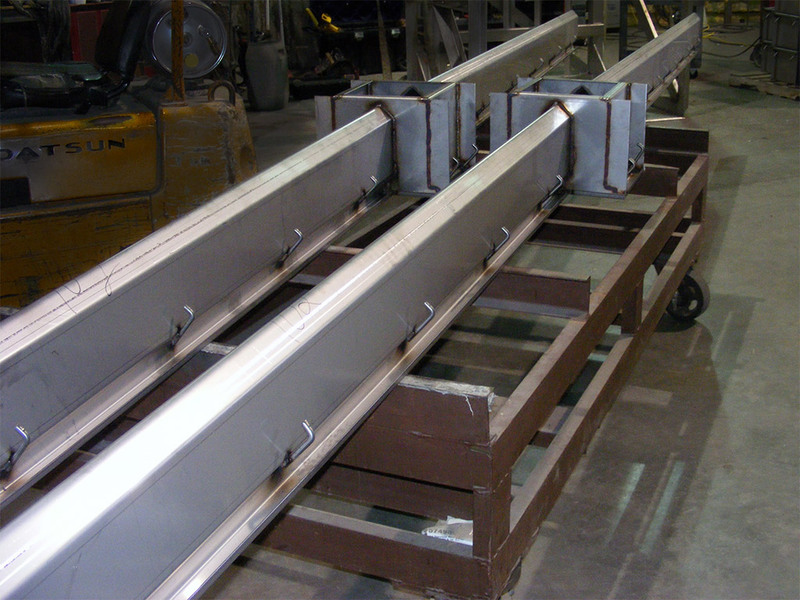 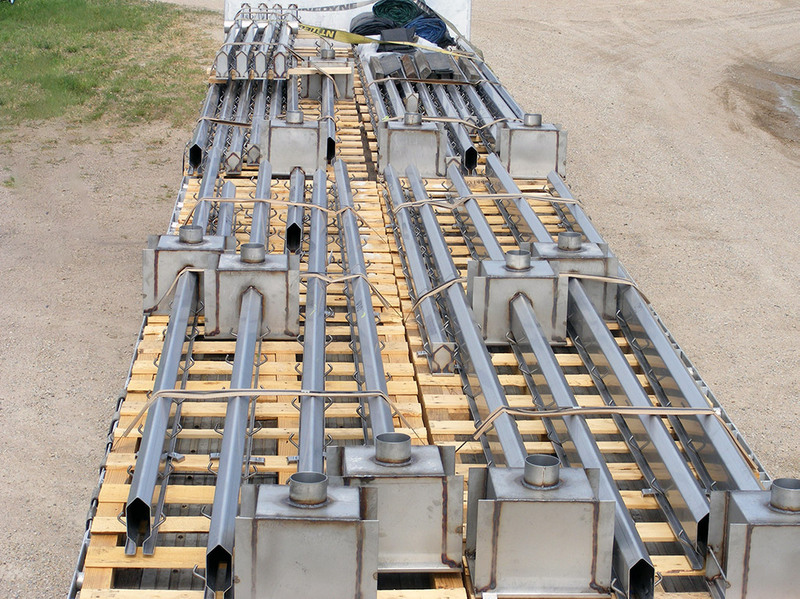 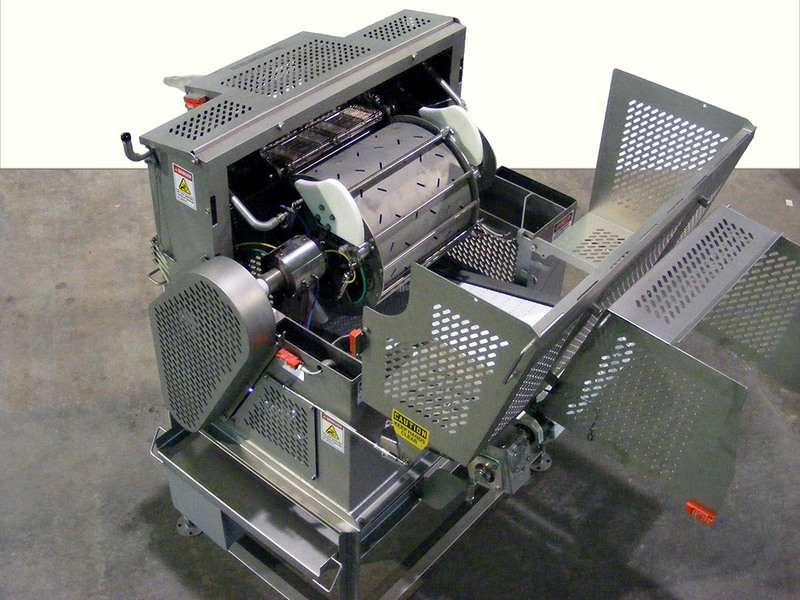 These and similar systems manufactured by Stainless Systems Inc. are very robust for many years of reliable service. 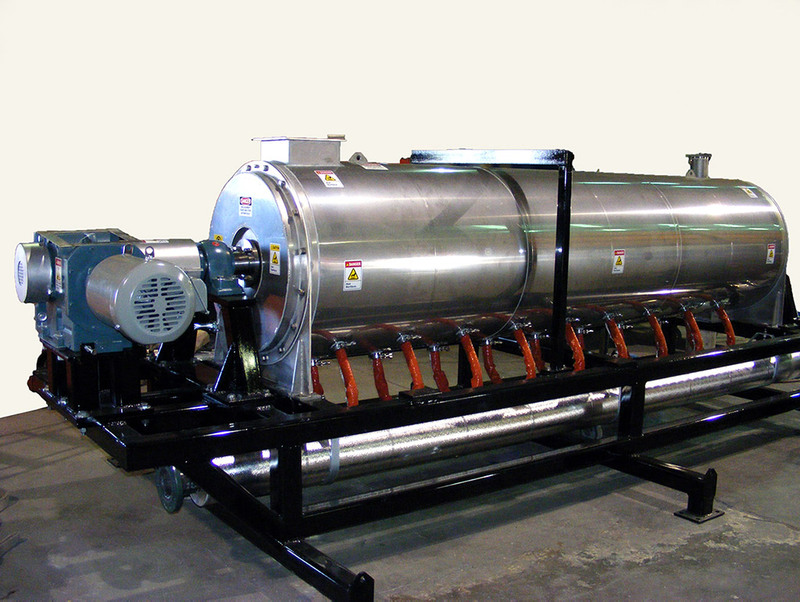 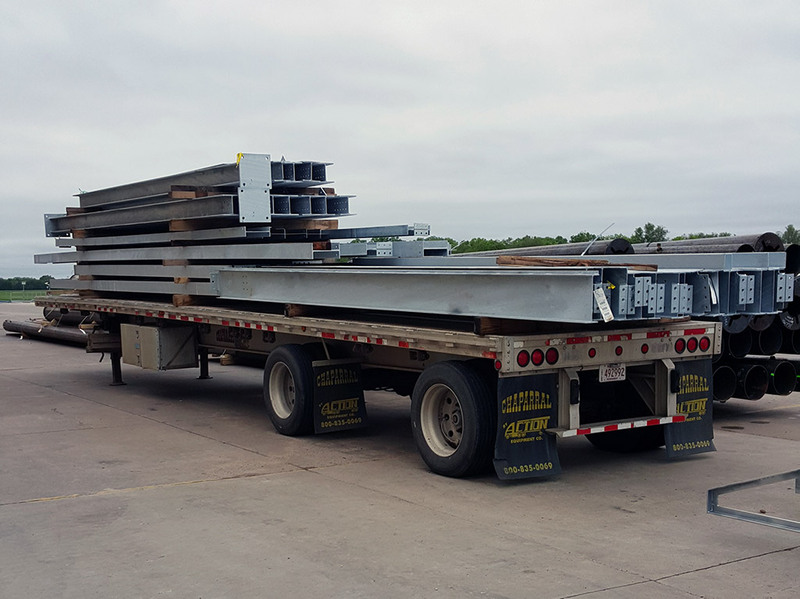 They are used to move product through piping systems for use in patty machines, extrusion equipment or other further processing applications. 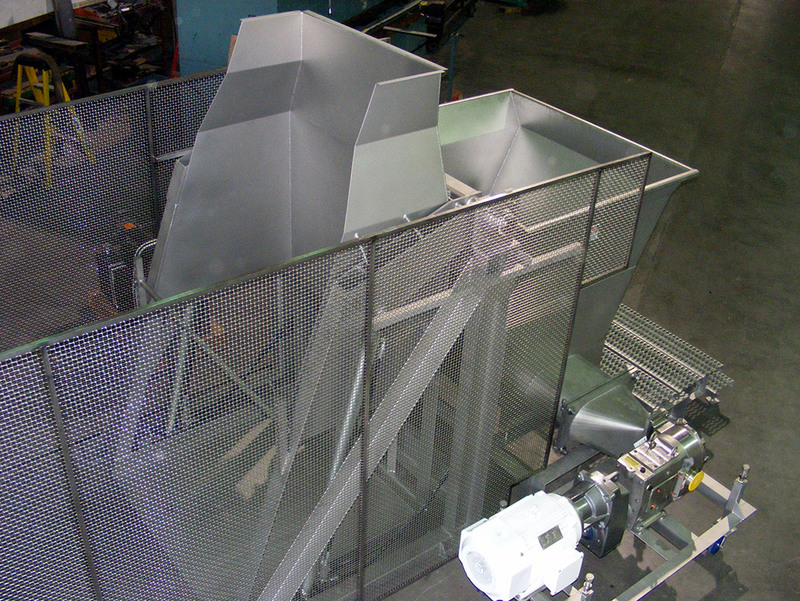 Open frame pivot dumper with guards product dumpers built by Stainless Systems are built for extreme service requirements.Tippers and high-lift versions in a variety of weight and bin size capacities are available.